XCode tools on apple OS X are easy to use especially for developer’s and used to develop complicated programming software for PC. Easy in developing apps for iOS devices using XCode. Helpful in developing games for iOS. XCode incorporates stability in your application coding. It provides quick fix solution to any error. It provides a device-specific testing platform such as for iPhone, iPad, etc. Download Mac OS X from online. Then go to downloads (available at left side of the page). Then click on workstation pro, then it redirects to a page as shown in below. Then click on go to downloads link, available at right side of page as shown in above picture. After clicking on it, it redirected to a page having download options. As shown in below picture. Then click on download option and then choose download location, after these it starts downloading application. After downloading install the application in your PC or LAP. This process will unlock services of Mac OS, by these you can choose any latest version of Mac OS X and then install Mac on VMware. Installing Process of Mac OS X in VMware is given below. 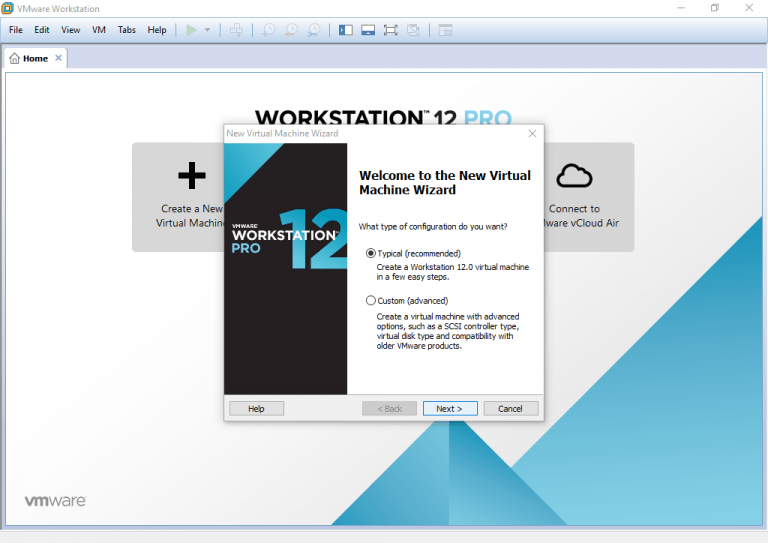 After installing Unlocker208 application, open VMware workstation in your computer. Then just click Next option. 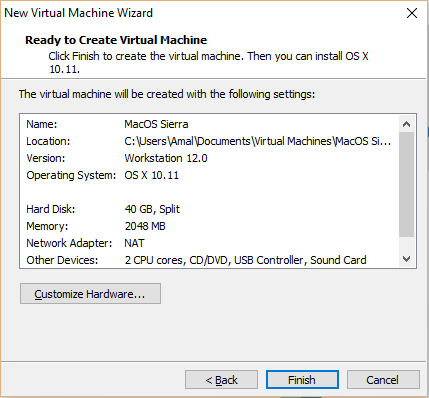 Then, you have to select operating system in which you want to install in VMware or in your PC after selecting later and click Next. Or select install ‘Virtual Machine Later’. In the above step you have to select Apple Mac OS X as operating system, and then select its version number. Now you need to choose location for installation of Mac OS X, select the location or drive and then click on next option. If you leave the location option it will install in its default location, actually you don’t have to choose location. 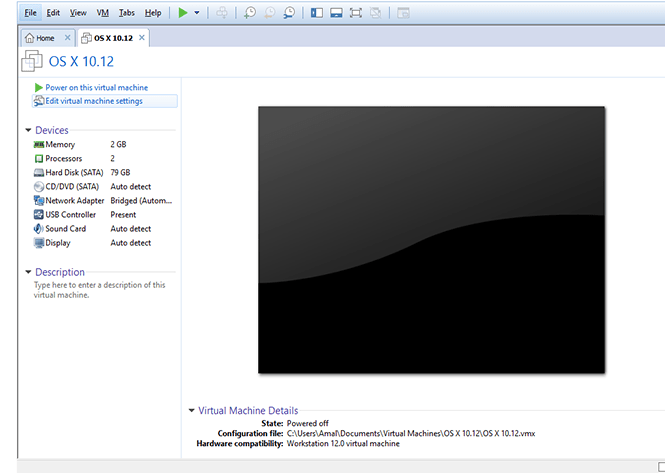 Then Click Finish, then your virtual machine ready to be configured or use as shown in the picture. After installation of Virtual machine (Apple Mac OS X), edit the virtual machine. To edit virtual machine ‘Go to Edit Victual Machine’. 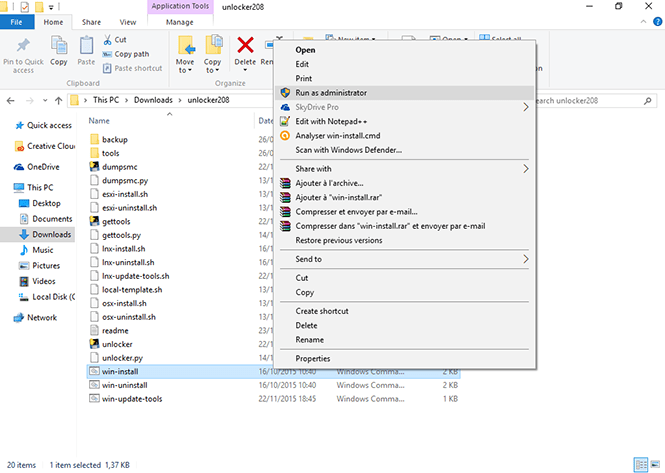 In this edit options you can edit memory size and processor if your system allows that. 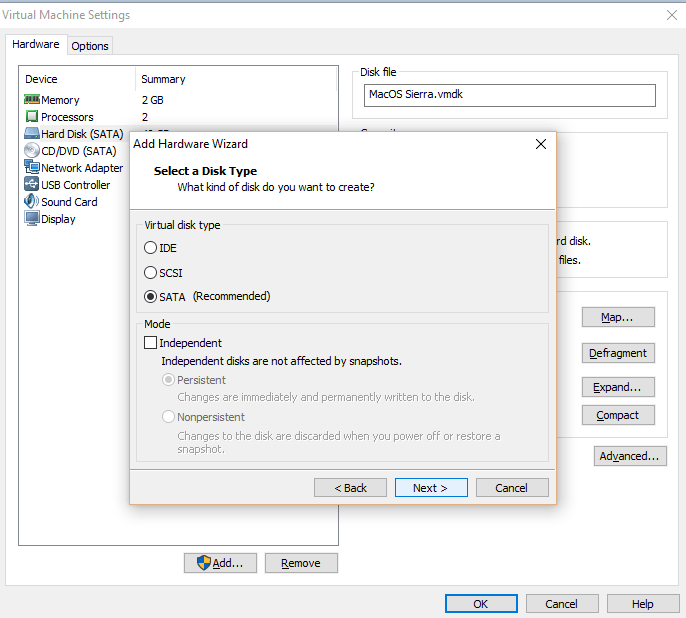 And then choose hard disk option and then click remove option. After removing of hard disk, then click add hard disk and click next. A page will open, hit enter immediately because in this page, let all things by default. 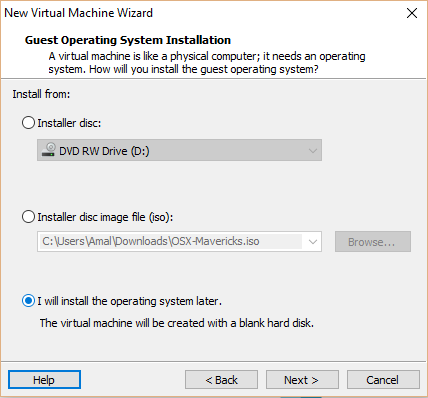 Here choose ‘Use Existing Virtual Disk’. And then browse for VMDK file of Mac OS X then click on ok. 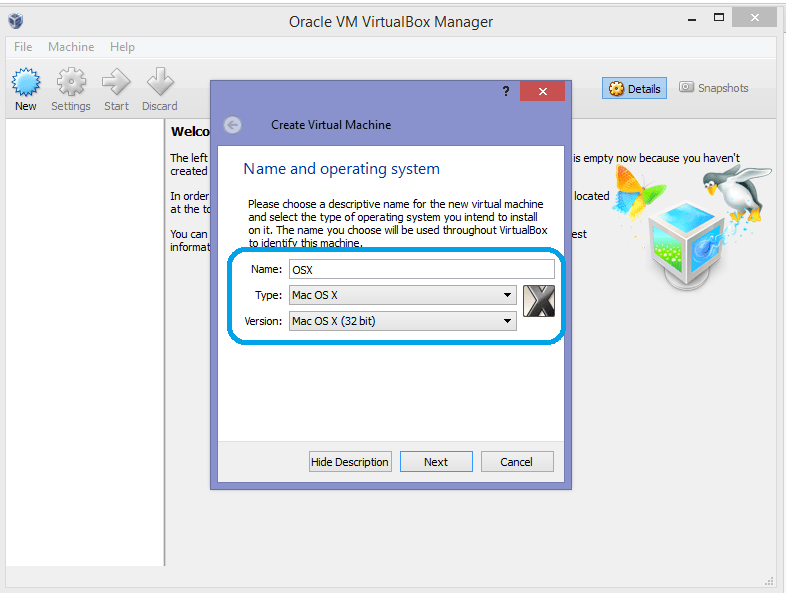 The last step for installing OS is edit the VMX file. 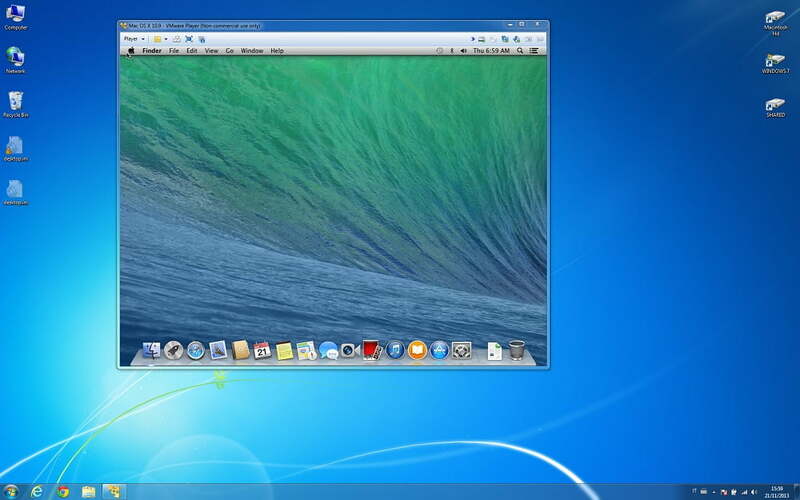 Then go to Mac OS virtual machine files and then right click on it and select open it with notepad. 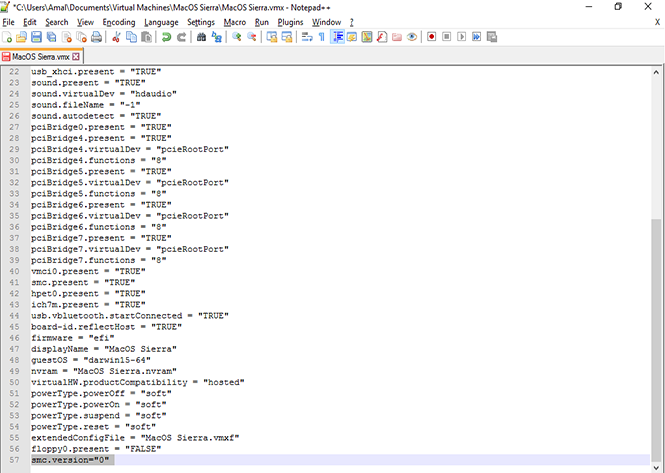 After opening file, scroll down to end of document and then type smc.version = “0”. Then save the document. After initializing the MAC OS, simply you can download XCode from Apps Store. The downloading of XCode process is given here. Open Apps Store by entering your apple ID and password on your Virtual Machine (Apple Mac OS), Then make a search for Xcode, then hit on enter, Then click on get option on screen for XCode, After clicking on get option it will starts downloading, after downloading you can use it. Then go to downloads, present on left side of the page. Then it redirects to a page containing ‘VirtualBox 5.2.8 platform packages’. Choose the hosts such as windows, Linux, iOS and Solaris. Then click on windows host option, and then it will ask for download location. 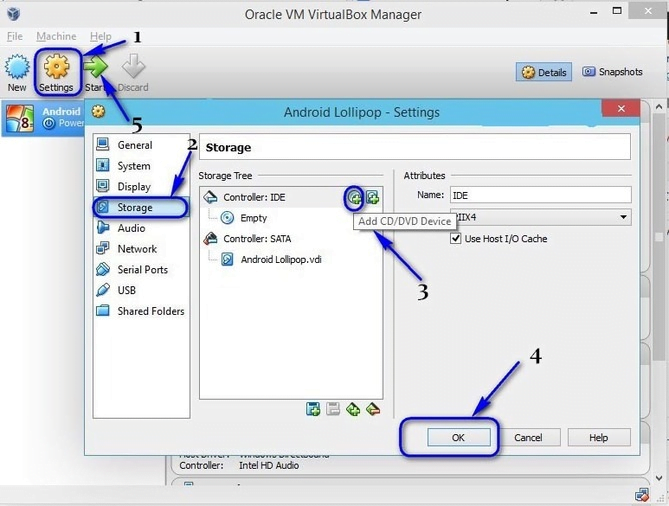 Choose download location, after completion of download then install the Oracle VM VirtualBox. After installing virtualbox then open it. After opening click ‘new’ machine shown by star symbol. 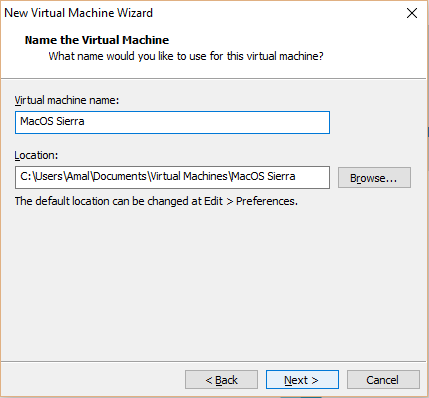 Then type the name for virtual machine and then choose your version number. 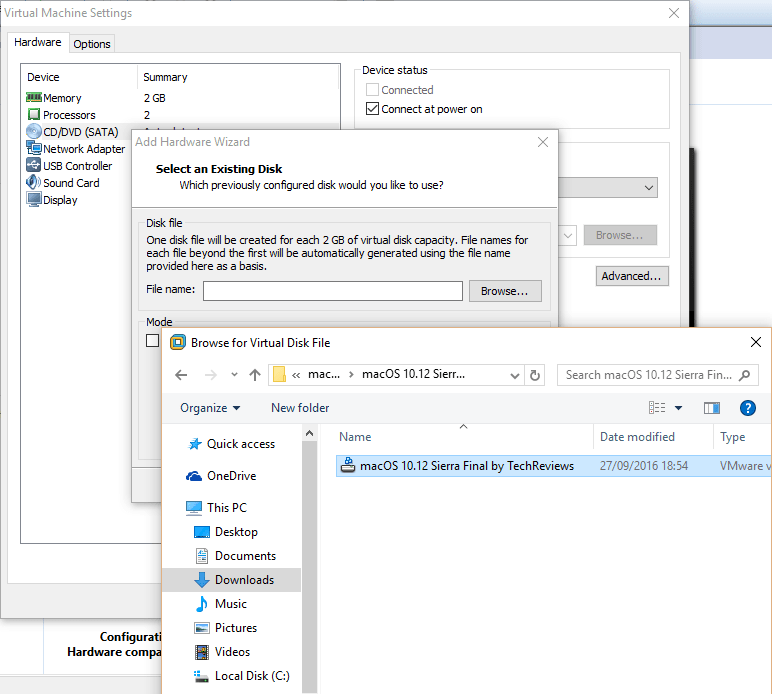 And then select memory size, create virtual disk now, and choose VDI for format. 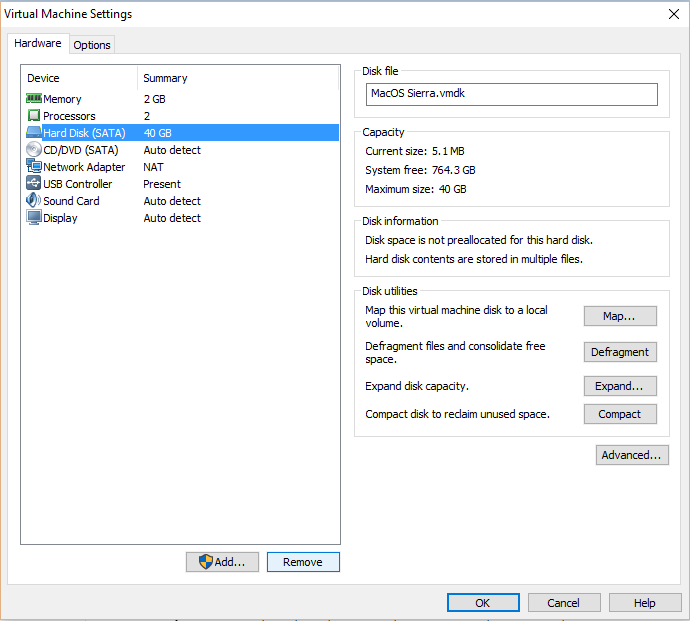 Select storage disk and size of disk to occupy, size has to be at least 100GB. After all above process go to settings>storage> SATA controller> add optical disk>then insert ISO file of mac OS> then go to display tab>select memory to max value> then exit from settings. After doing all the above things click on start to boot the virtual machine. After these it will ask ‘where to install the OS X. On the upper-left corner of display, you will see a utilities button>disk utility, a page will open containing different storages, and then choose vbox hard disk media. You can delete the storage by clicking erase option, then enter your desired name and continue, wait for some time to complete process…..
After installing you can see screen as below. After initializing the MAC OS, simply you can download XCode from Apps Store. 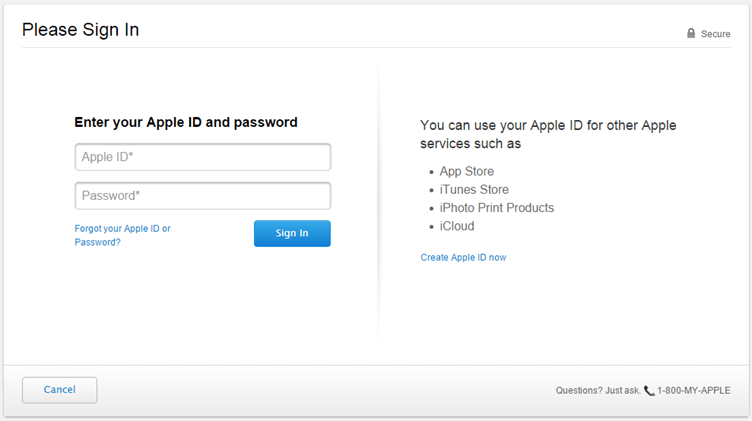 Open Apps Store by entering your apple ID and password on your Virtual Machine (Apple Mac OS). Then make a search for Xcode, then hit on enter. Then click on get option on screen for XCode. After clicking on get option it will starts downloading. After downloading of XCode you can use it.